going to the netherlands is always something special– after all, this is where neverleavetheclouds came into being. however, this time it’s not amsterdam calling but second city rotterdam, which all but bursts with things to see and explore during art rotterdam week (through february 8). 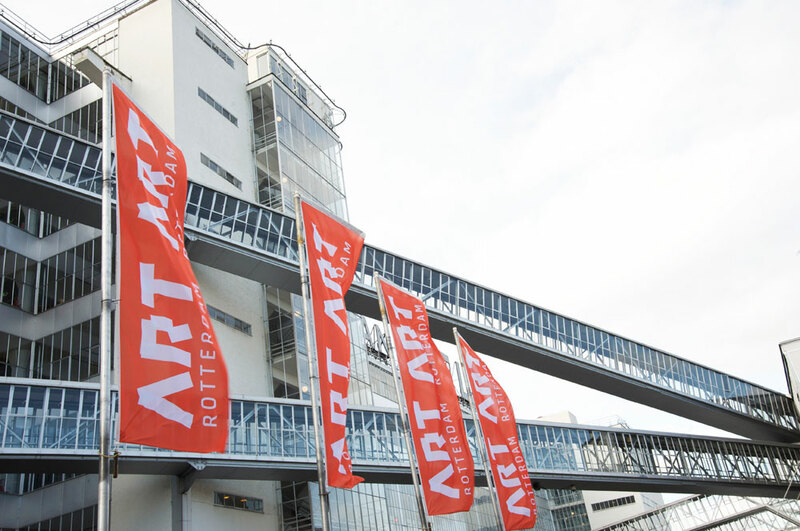 art rotterdam is set up through three hubs throughout the city: the premises of the terrific van nelle fabriek play host to various pop-up shows and artist presentations, the wilhelminapier across erasmus bridge is home to the fairs rotterdam contemporary (formerly raw artfair) and object (on board the charming vintage cruiser “ss rotterdam”), and the museum quarter in the city center boasts several exhibitions. clearly, too much is on display to take it all in, but highlights will definitely include the opening of “la la la human steps”, the major spring exhibition at museum boijmans van beuningen, and a three-course veggie dinner by master chef laurence van bergeijk set up inbetween the artworks at garage rotterdam.